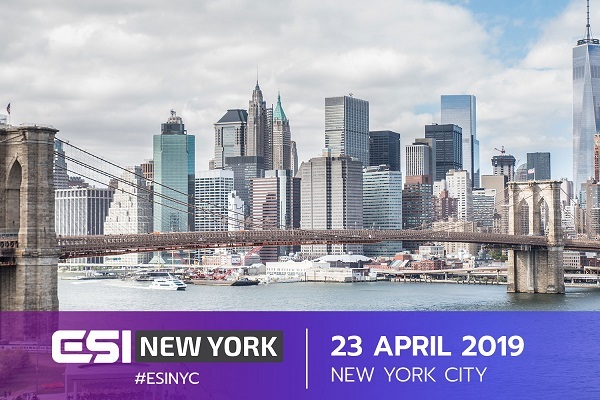 There is little over a week to go until #ESINYC, a day focused on networking and business development in and around esports that’s set to welcome one of the best speaker lineups of esports B2B conferences yet. We’re delighted to announce the event is fast approaching sell-out with over 90% of tickets already sold and just eight days to go until the event. If you have ever wanted to make indispensable contacts within the industry, then this is the event for you. Or maybe you want to hear how a number of industry leading figures market in esports or work with publishers to create a better ecosystem? 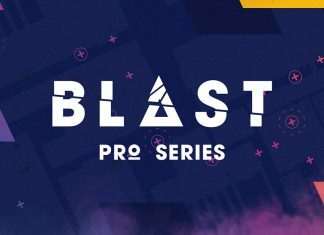 Joining us for the event are the likes of Chris Hopper, Head of Esports (NA) at Riot Games, Steve Arhancet, Co-CEO and Owner, Team Liquid, Saira Mueller, Director of Content at Gen.G and esports veteran Scott “SirScoots” Smith. These are just a few of more than 30 speakers who we are delighted will be joining us and taking part in panels and round-tables throughout the day. Hosting the entire event is none other than Fiona Nova. We’re starting the day by looking at the ever-changing perception of esports players. With increased popularity and global spotlight for many players at the top of their game, each and every action comes under increased scrutiny with sponsor responsibilities and personal brand importance. Joining us for this one will be Barry Lee from Evolved Talent Agency, Greg Laird, CEO of Chaos Esports Club, pro Smash player for Team Liquid, Kashan Khan and Esports veteran, Scott Smith. The panel is rounded out by our moderator and Director of Content at Gen.G, Saira Mueller. Closing out the day before the rooftop bar opens, will be our final full panel; ‘Publishers and Teams: Creating the Perfect Ecosystem’. Undoubtedly two of the most important rights holders in the esports industry are the publishers and the teams. We’ve seen varying approaches across the esports landscape such as the increasing frequency of franchised leagues on the game dev and publisher side. Each publisher has a different approach to working with teams, but what works best from each side? Do teams prefer a more hands-off and laid back approach? How does it vary between publishers? Thankfully we’ll have Nicolas Maurer, CEO, Team Vitality, Steve Arhancet, Co-Owner and CEO, Team Liquid, Chris Hopper, Head of Esports (NA), Riot and Ed Chang, Director of Business Strategy, EA Competitive Gaming joining us to share their expertise. 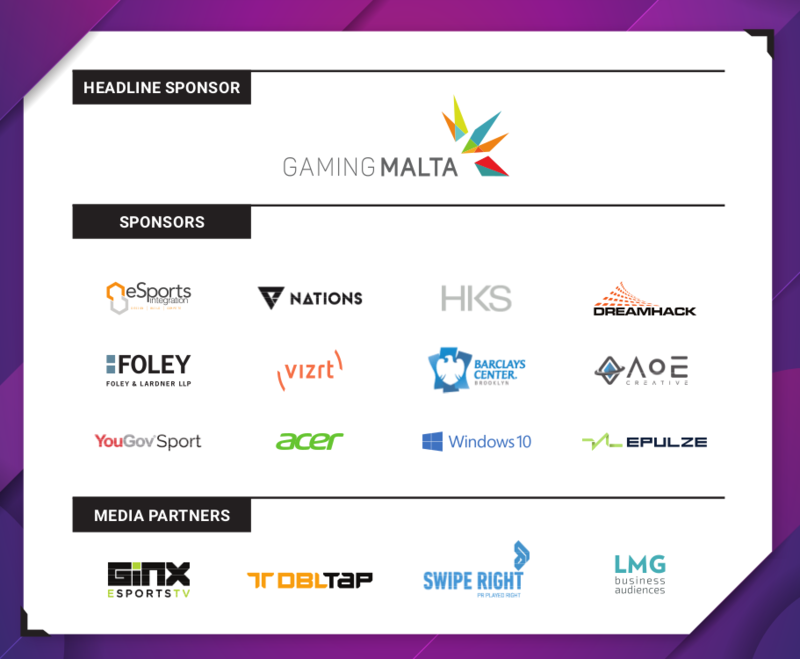 The fun doesn’t end there as, thanks to GamingMalta we have a two-hour open bar overlooking idyllic Manhattan before inviting attendees to join us at Jay-Z’s 40/40 for an extravagant after party. There is still time to pick up your tickets but we are fast approaching capacity.